The Runners-Up UET Parliamentary Championship 2015! 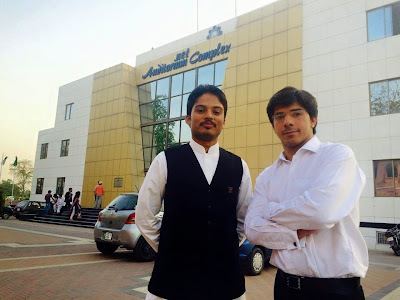 Ali Naveed Malghani and Jamal Abdul Qadir Awan. KE was in the FINALS of both Declamation and Parliamentary Championships at UET Lahore Debates! Syed Ahmad Raza and Ahmed Rafay Afzal also made it to finals of Declamation with their magnificent quality speeches in respective categories. Ruhma Ihsan, Tabish Javaid, Ali Shehbaz Baloch, Huda Nawaz, Maryam Fatima, Fatima Rizwan, Dua Noor and Sumbul Liaqat made it into the Quarter Finals in both Urdu and English Categories.